Read teasers of the what will be showing on Lord of the skies Lord of the skies 2 on Telemundo in November. Chema tells Aurelio that he does not want a war, and asks to negotiate. Leonor realises that Ignacio is plotting something with Ana Sofia. Chema orders Rutila to go to Guadalajara. While following Monica in the mall, Helena is attacked by one of Chacorta’s men. Chema and Aurelio begin to negotiate for Rutila’s freedom. Helga begins recording a conversation with General Garnica so that she can blackmail him. Helga tells Aurelio that she has a recording of General Garnica confessing all of his crimes. Leonor requests a warrant against Ana Sofia and Ignacio. Leonor follows Helga to Villa Catalina. Meanwhile, Mirolindo gives a gun to Iñaqui, who then looks for General Garnica and threatens to kill him. Aurelio orders Saul to assassinate Santiago. Meanwhile, Leonor and Rivero arrive at Villa Catalina and capture General Garnica. Ximena says goodbye to Rutila and asks her to take care of Luzma. Rutila tells Aurelio that he will pay for Ximena’s death. Leonor asks for a judge’s warrant to raid Danilo’s house. Aurelio confesses to Monica that he is still in love with Ximena. 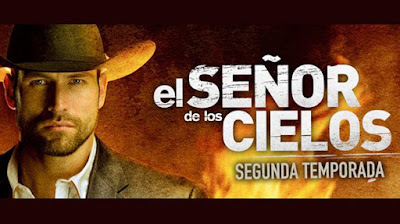 Rodrigo arrives at the cemetery to take Ximena’s body. Rutila arrives in Mexico City where she meets Chema, and seduces him. Victoria calls Monica to try to track her down and to find out if she is in Mexico City. Rutila tells Chema that she gave Aurelio his location. Victoria and Aurelio meet in a hotel in Morelia, where Victoria registers with a different name. Rutila tells Chema that she is expecting his child. Federal agents visit Aurelio in prison to persuade him to talk about Monica and Chacorta, but Aurelio refuses. Rutila gives birth to her son. Tim offers Casillas a deal. Aurelio tells his mother that she is the only one who can help him, and gives her instructions to rescue him. Victor tells Mrs Alba that the operation didn’t go as planned. Aurelio and Leonor decide to board the train that passes through Veracruz. Mara removes Aurelio and Leo’s handcuffs, and the two of them jump from the train. Chema instructs Medardo to kill Aurelio. Rutila calls Chema and warns him not to hurt Victor. Meanwhile, Aurelio feels unwell and asks Leonor to take him to a hospital. Chacorta’s wake takes place. Jairo tells Tijeras that he is going to Mexico. Chema asks Rutila to start a family with him. Chema orders Superjavi and Eleazar to work together and to leave their differences in Colombia. Rivero proves that Aurelio’s food was poisoned. Julia is shocked to hear that Leo slept with Aurelio. Tim asks Rivero to help him convince Morejon to get Aurelio out of the county. Chema offers Marcado a sum of money to rescue him at Juarez. Aurelio shoots Medardo in the head. Tim finds out that Leo is sleeping with Aurelio. Leo tells Aurelio to never touch her again. Monica makes a business agreement with her cousin. Chema visits Rutila, who tells her to leave. 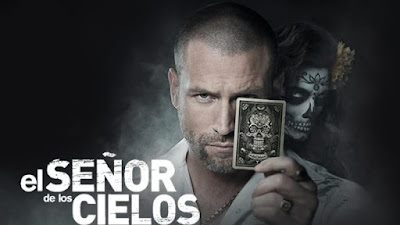 Premiere episodes of Lord of the Skies 2 air on Telemundo from Mondays to Fridays at 23h00. The omnibus airs on Saturdays and Sundays at 23h00.